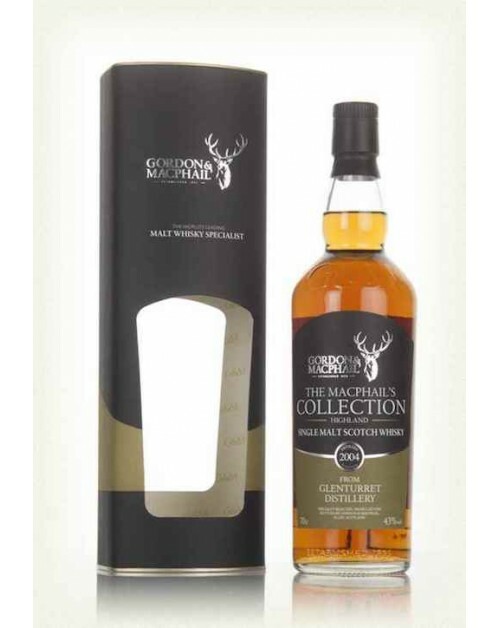 Glenturret 2004 (Bottled 2016) The MacPhail's Collection Single Malt Whisky was distilled in 2014 and matured in Sherried oak before being bottled in 2016. Nose: Apple crumble, and caramelised sugar. Palate: Summer berries with light spices and warm chocolate. Finish: Long with Sherry notes at the end.